The climate in Berlin holds pleasures for all seasons. In the winter, the barren trees reveal the beautiful façades hidden during the verdant months. Then comes spring and, with it, the colors, the blossoms and the longer days, which grow shorter in the summer, when people can cool off in one of the many lakes in and around the city. 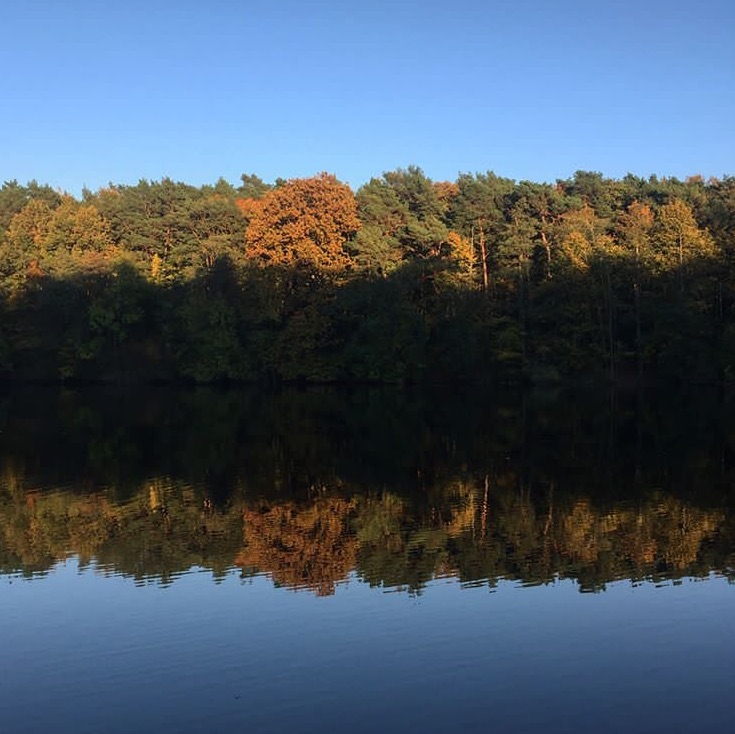 In late September, autumn arrives and turns the green of the trees into a mix of yellow, red and brown tones. 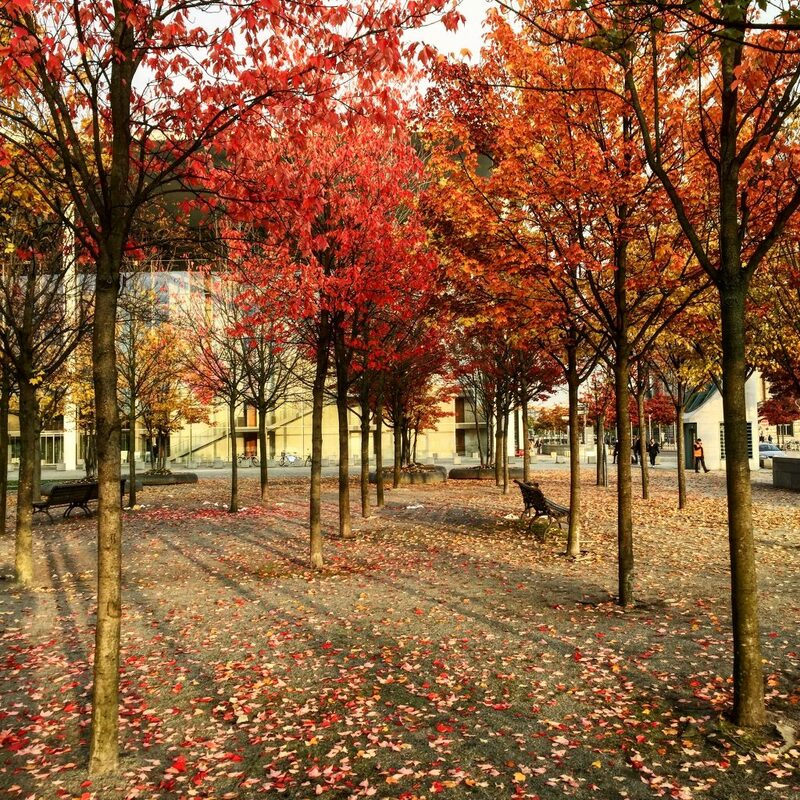 The fallen leaves form a natural carpet, giving the streets a special hue that contrasts with the normally grey skies this time of the year. 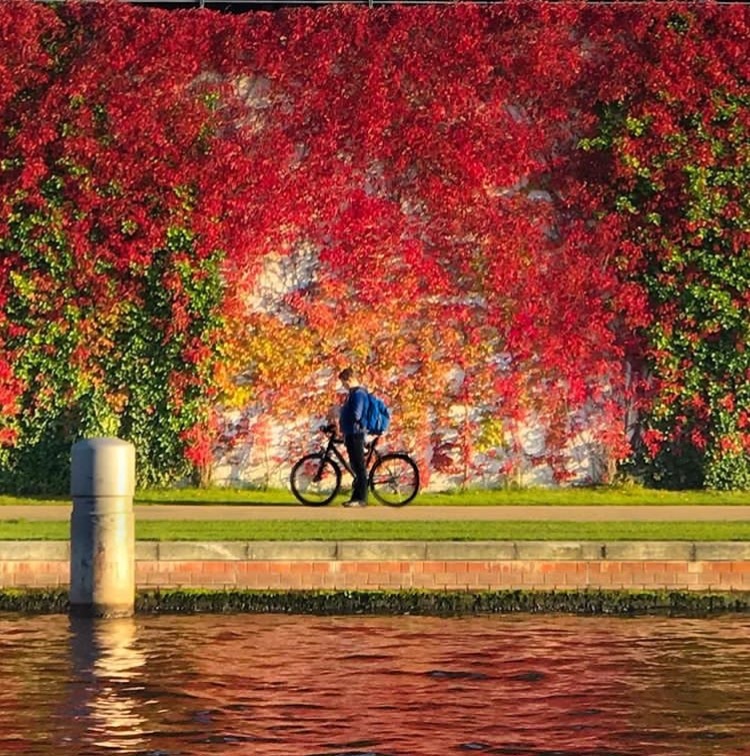 To make the most of these natural spectacles – and stack your Instagram feed with lots of pretty colors -, we selected some of the best places in Berlin to see the fall foliage. 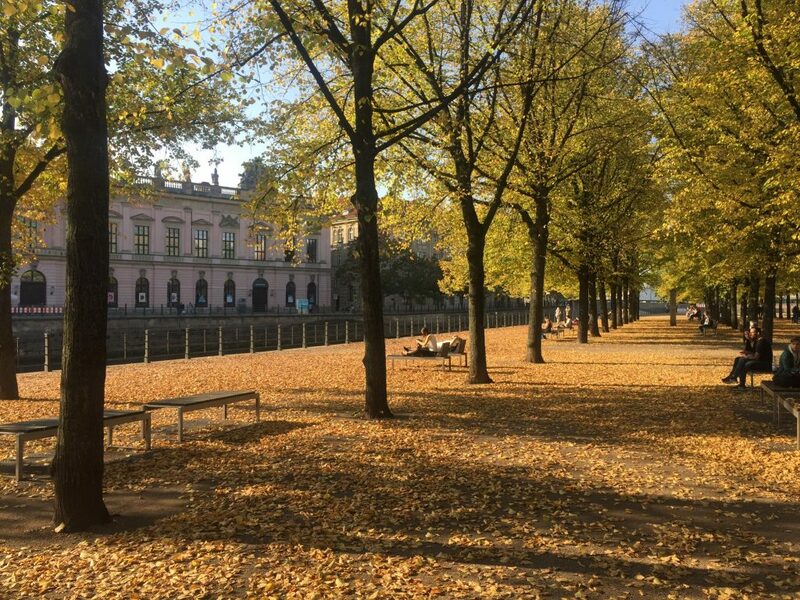 This park on Museum Island is surrounded by historical buildings and monuments like the Altes Museum, the Berliner Dom and the Deutsches Historisches Museum, located on the opposite side of the Spree. In the fall, the scenery turns gold-tinged. Relax on one of the chaise longues and enjoy the view of the boats coming and going on the river. This is definitely the best place to view the canopy of the Tiergarten. From the top of the column, on its panoramic platform, you can enjoy breathtaking views of Berlin and the Straße des 17. 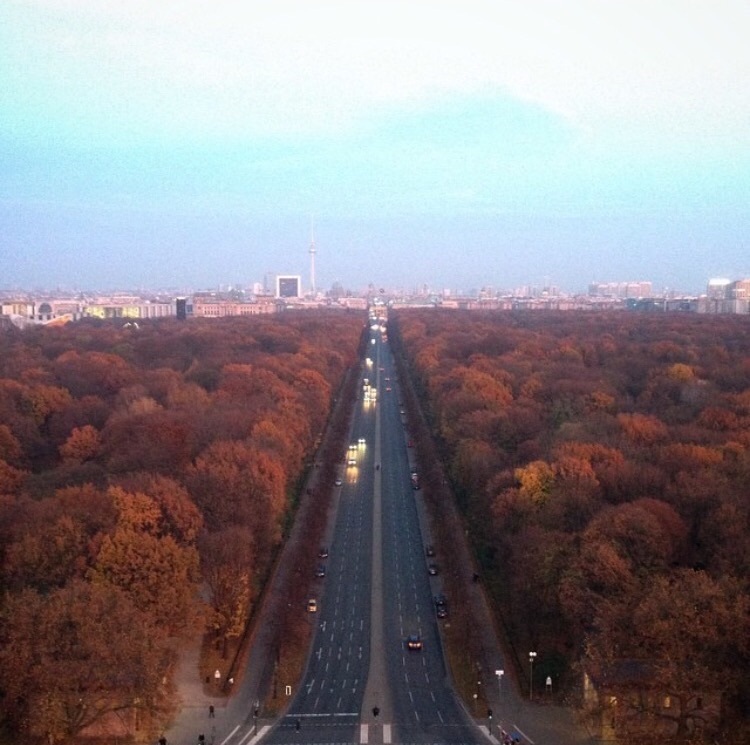 Juni, a boulevard lined with yellow and red-leafed trees which splits the Tiergarten into two sections. The Charlottenburg Palace is surrounded by a large garden with a Baroque-style center. 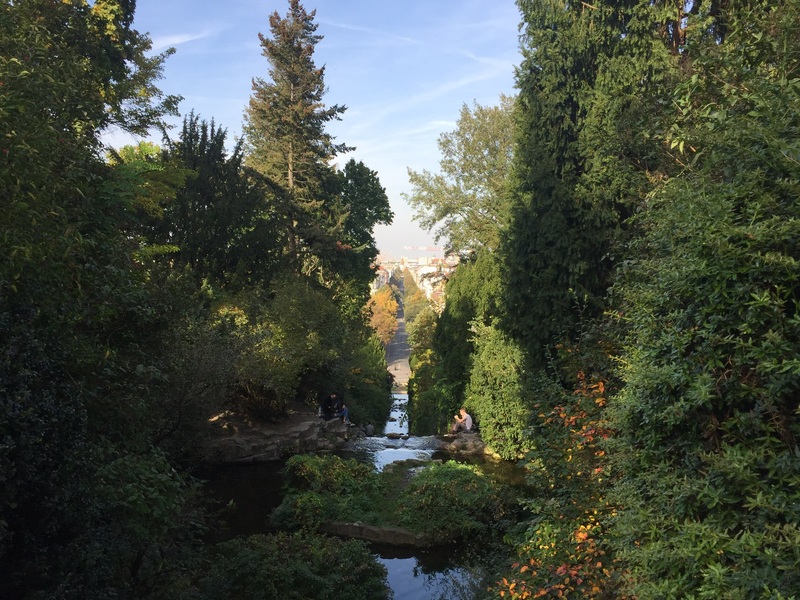 The grounds beyond it have some of the most idyllic scenery in Berlin, including a pond where you can see the castle’s reflected image in its waters, and the Belvedere, today a museum that showcases a collection of porcelain. The deciduous trees and their burnt orange leaves transform the landscape into a Grimm’s fairy tale. Located in Fischerinsel, this “surviving building” ended up sandwiched between typical postwar East German constructions (Plattenbau) and its façade is almost completely covered in liana leaves. 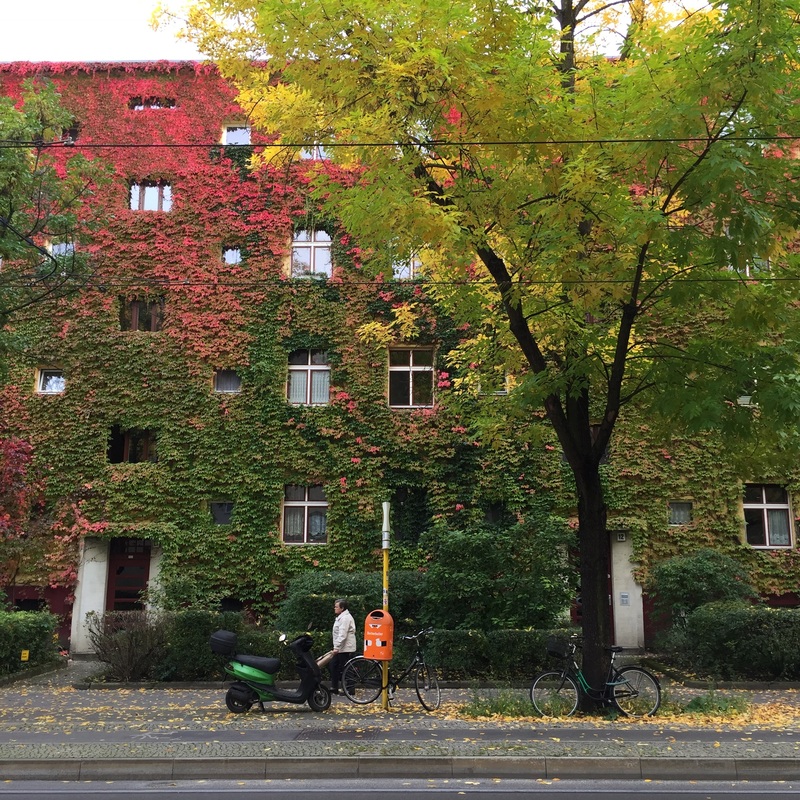 Aside from the colorful foliage, it’s a great place to admire the unique clash of architecture in Berlin! The bland, geometric postmodernist lines of the government buildings provide the perfect background for the explosion of colors in the row of trees in front of the main structure. And check out the wall behind it, right by the Spree. The foliage is just stunning! Go up the hill until you come to the beautiful waterfall. There you’ll have an amazing panoramic view of the city center, including the rows of yellow trees on both sides of Grossbeerenstrasse. The Puschkinallee passes by Treptower Park, an East Berlin favorite. 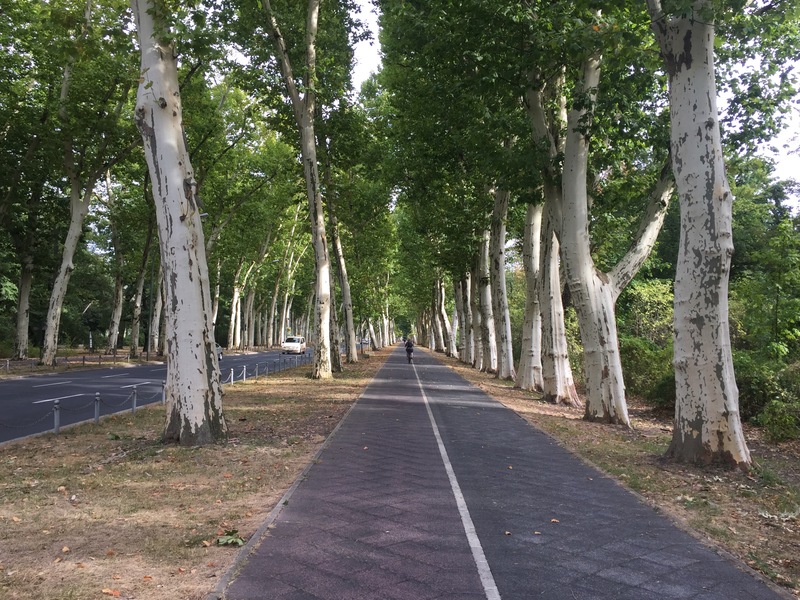 The avenue is lined by plane trees planted in the late 1800s, making for an impressive and colorful vanishing point during the autumn. Chestnut trees normally give the first signals of fall foliage. They’re the first ones to have their green leaves turn shades of yellow and orange. 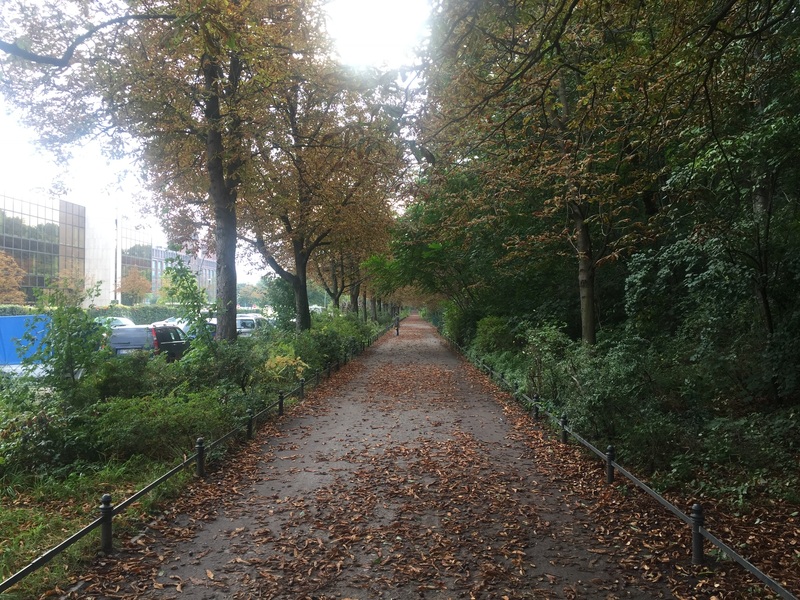 On the southern side of Volkspark Humboldthain, along Gustav-Meyer-Allee, you will find an impressive row of chestnut trees, with fallen leaves and, of course, chestnuts laying on the ground! 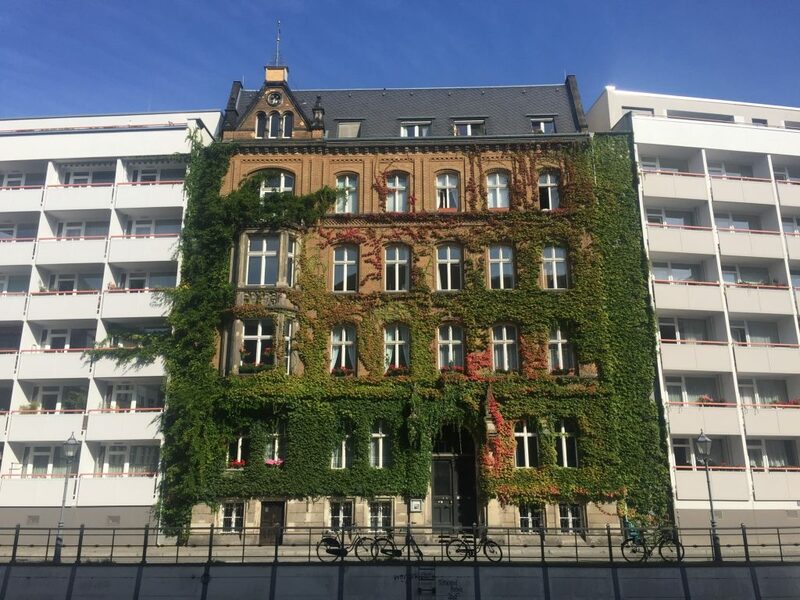 In the northern area of Prenzlauer Berg, on the corner of Wisbyer Strasse, this residential building block from the 1930s is one of the most instagrammable spots in Berlin in the fall. Upon its façade is a wonderful palette that spans from green to yellow and includes tones of orange and red. Plus, the trams that pass by the house give it another shade of yellow! Berlin has over 200 cemeteries! 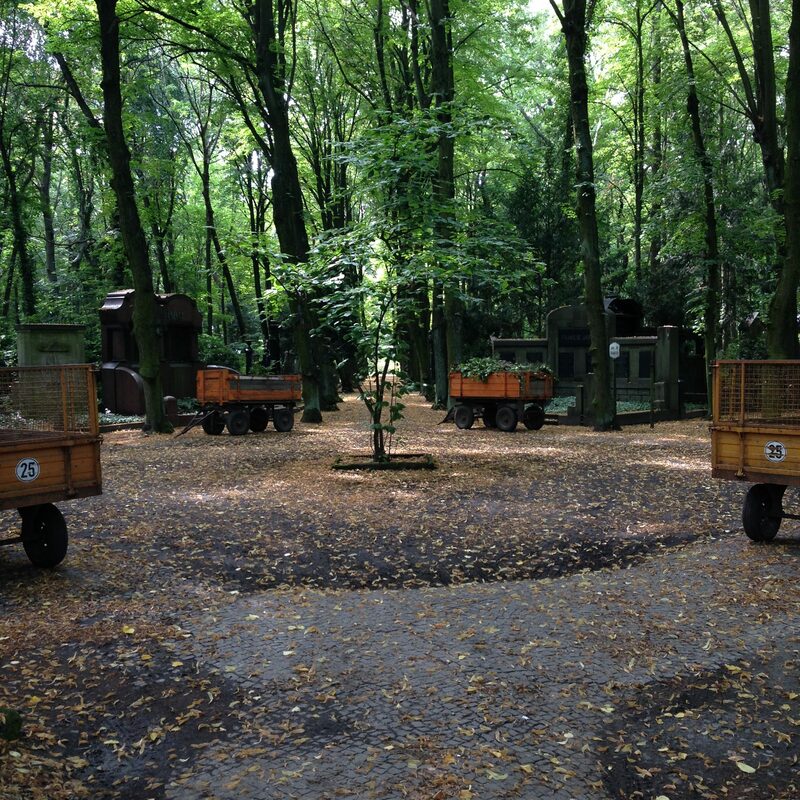 Obviously, these are places of mourning, but they’re filled with life in the form of nature. 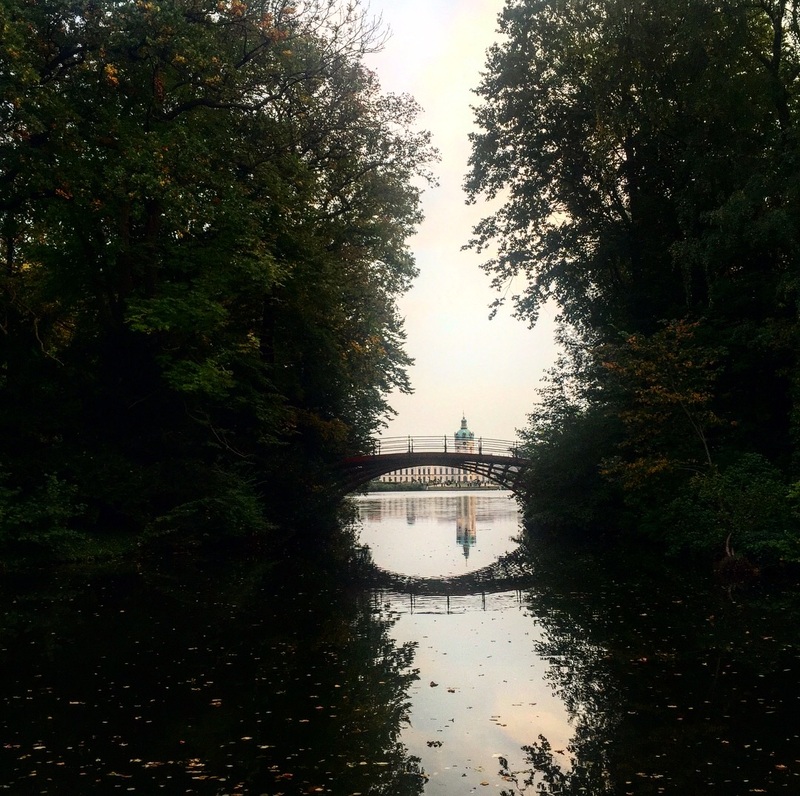 One of the largest is the Jewish Cemetery in the Weissensee neighborhood, a place that makes for a fairy tale stroll on a misty late-afternoon in autumn. 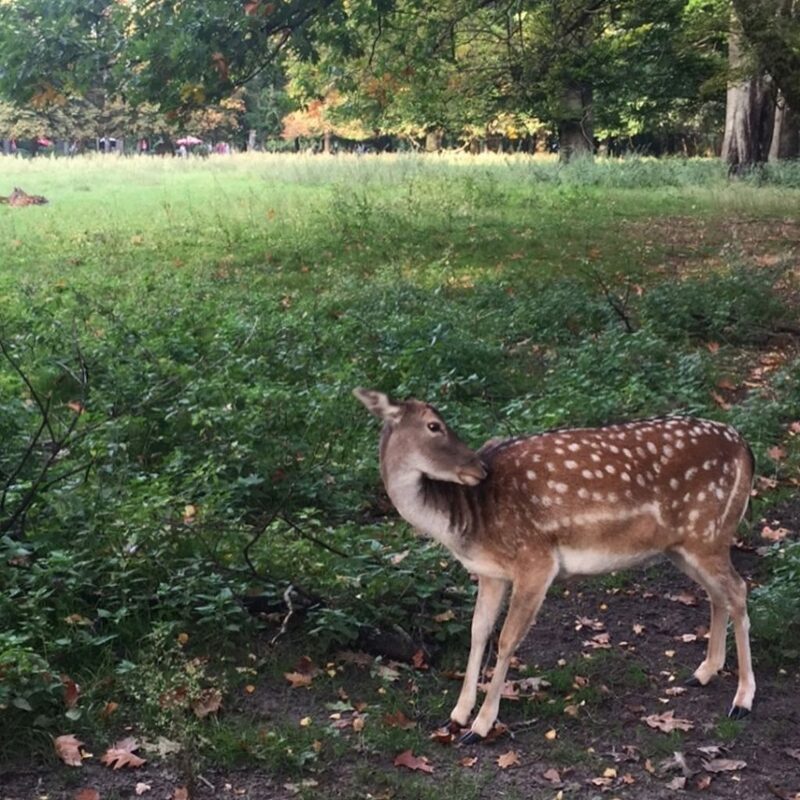 On the outskirts of southwestern Berlin, the main attraction to the Gemeindepark Lankwitz is the Tiergehege (“animal enclosure”) with its fallow deer. Their chestnut coats with white mottles make them entirely camouflaged among the fallen leaves on the ground, reminding us just how perfect nature is! Dutch chef duo takes Berlin restaurant scene by storm.